You finally did it. You mastered your landing page software,learned how to design a beautiful sales page when you never designed anything before in your life. You took so much time crafting your copy to emphasize the benefits of your solution. 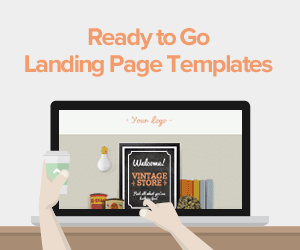 Your landing page is perfect, and now it’s time to launch. And then, nothing. Crickets. No sales. No downloads of your free trial. No subscriptions to your mailing list. What went wrong? There could be a number of things. Maybe your PPC campaign or content marketing efforts aren't driving visitors to your landing page. Or maybe people are reaching your landing page, but they’re quickly hitting the back button because they can't find anything interesting on your page. Launching your landing page is only the beginning. Don’t expect that your job is over and that the leads are going to start rolling in. The more likely scenario is that nothing, or not much of anything, is going to happen after you publish your landing page. The way to a perfect landing page is not in the effort you invested creating it – but in the time you invest testing your landing page. All the great marketers who are driving 10% or higher conversion rates got there because they tested the hell out of their landing pages. They eventually found the perfect combination of headlines, body copy, offers, calls to action and images that converted the maximum number of customers for their particular product. How do you test? Glad you asked. We've put together a list of ten tests (or experiments) you should start right now. You may have read dozens of blog posts, eBooks and even courses about internet marketing. Keep this knowledge in mind, but throw it out the window when conducting your tests. Most marketers who test all the time have been surprised – again and again – that the results of their tests show that the conventional wisdom was wrong in their particular case. To know the true reason for an increase (or decrease) in conversions, you have to isolate the cause of the event. To do that you must test one element at a time. Don’t test your headline and your call to action button at the same time. Run one experiment first, like your headline, then run another experiment on your call to action. 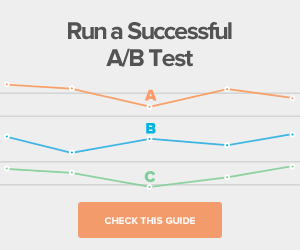 Use a tool, such as Google Website Optimizer or the Lander A/B testing tool to conduct your tests. They’re both free, and they provide you with very useful reports and data points you can use to measure the results of your experiments. 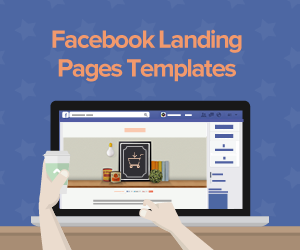 Your headline is probably the most important element of your landing page. It’s what tells your prospects she’s in the right place. It also tells her whether the page is worth visiting or not. That’s it. If your prospect doesn't like what she sees in your headline, she’s not going to go to the rest of the page to find out what your product is all about. No matter how compelling the rest of your landing page is, if the headline doesn't convince her to read on, your landing page won’t attract anybody. Try out short headlines, long headlines, headlines with benefits in them, or headlines with a bit of mystery. Believe or not, font matters. There are thousands of different fonts, and a new font is born every day. Since Netscape introduced the <font> tag in 1995, a new industry, the web font industry, was invented. The reason is simple: fonts matter. The most common fonts on the web are Arial, Georgia or Tahoma. But it’s not uncommon to find font types you've never seen before, such as 'Neutraface2DisplayTitling' or 'Chaparral-pro'. Font size is important as well, especially considering we live in a world dominated by Smartphones. Sites like Zeldman.com are taking a mobile first approach and are using large fonts. Will your landing page have more or less copy? Contrary to conventional wisdom, some landing pages convert better when their copy is long. Very long. I mean more than 20 pages long. The landing pages for expensive courses with costs upwards of $2000 come to mind. 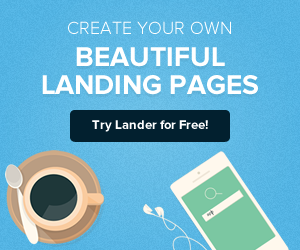 Other landing pages contain nothing but a headline and a call-to-action button. The Dropbox home page is designed as a landing page with zero copy. 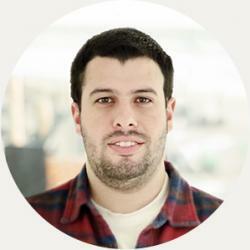 Kissmetrics has a tiny bit of copy and a video. What works for you could surprise you, so test the length of your copy. Ok let’s clear up one thing here and now. An offer is not a call-to-action. An offer is an offer. The offer is what your prospects get by visiting your landing page. The call-to-action is the invitation to get your offer. The offer is probably the second most important element of your landing page, after your headline. In fact the offer is so important that marketer Mark Joyner wrote a complete book about the Irresistible Offer. (And to clear up some more confusion, your offer is not your product). If you sell a hosted software application that costs $199/month, you probably won’t be getting a lot of subscribers signing up for your service right away. Instead, provide them with a preliminary offer: a free trial or a free version of your software (that’s what we at Lander offer). Your offer could also be a free report, or it could be your entire life’s work for free, as marketing legend Jay Abraham offers. The goal for these last two types of offers are typically to build a mailing list to build a relationship with prospects via email marketing. Is a free trial your best offer, or should you charge a nominal fee? Will people respond better to the offer of a free report, or an offer of free membership in a site where they can access premium content? The call to action is what gets people to try your offer. It’s what your landing page has been building up to. It’s the focus of your online marketing efforts. Without a call to action, there is no action. Your call to action button could be orange, blue, fire red or green. Your online form could ask your prospects for a first name and email address, or complete demographic data. Keep in mind the importance of testing your call to action according to your specific purpose. Do you want as many leads as possible, or do you want only stock-brokers who pull in $500,000 per year? If you’re looking to prioritize your landing page experiments, I would put headline first and call to action second. People read differently on the web than they do offline. Most visitors to your landing page will scan the page, which is why it’s important to include many sub-headlines, bullet points and numbered lists in your copy. You want to write for the scanners as well as the readers. If the headline gets your copy read, your sub-headlines keep your prospect interested. Your bullet points and numbered lists give your prospects the 20,000 ft. overview of the points you’re trying to make. Test the size, color, and wording of your sub-headlines. And don’t worry about your marketing department’s concerns with “branding.” They’ll be horrified if you use different colors or fonts for your copy, headlines or sub-headlines. But when you show them the statistics about how much better the dark red 24px sub-headline performed, that should keep them quiet. Images, like sub-headlines and bulleted lists, play a very important role of communicating to your prospects what your offer is all about. Images of your product are important, but if you don’t have a product per se there are alternatives. Images of clients giving testimonials are very helpful. Make your abstract offer concrete. If your offer is a free eBook or special report, have your graphic designer create an image of a virtual book. Test the types of images and the placement of the images. The first thought of a landing page newbie when designing a landing page is: how can I make my landing page look professional? While that thought is well-intentioned, it is often misplaced. A professional or even a beautiful looking landing page is pleasing to the eye, and it seems logical it would drive more conversions, but look at Craigslist. Very plain design. Hugely successful website. You’ll never know until you test. Test the colors of your landing page, calls to action, font, images. Test the width of the body, the padding, the margins. Test the density of elements vs. the amount of white space. At Lander we've opted for a nice, clean, modern design. That works for us. Jay Abraham has a rather gaudy design (my opinion), and that works for him. Related to design, think about where you’ll place your images, copy (and when I say copy, I’m not just referring to body copy, but micro-copy, such as image captions and call to action text, for example), and call to action elements. Will you place your product image right next to the call to action form, or on the opposite side of the page? Where will you place your testimonials? If you have a long landing page, what images, call-outs and calls to action will you place further down the page, and where? Test the position of your elements. Finally, if you sell a product, test the price. Think beyond the conventional wisdom. Try a low price vs. a high price. Many marketers who have tested price have been surprised that sales go up when they raise their price. Also, will you use a rounded number, such as $30, or the old marketing trick of $29.99? What about trying something out of the ordinary, like $28.88? Armed with your knowledge about testing, you might decide you want to test every single variation of headline, color, design, copy and images you can think of. Our suggestion is to test only the most obvious differences. Don’t bog yourself down testing an infinite variety of options. The little micro changes you make won’t make that much difference, and you’ll waste your time testing them. Test two or three of the most obvious options. We also recommend reading Brian Massey’s book “Your Customer Creation Equation” for a more detailed explanation on experiments you can run on your landing page.